The cream helps to relieve strained muscles and prevents the feeling of "heavy" legs. 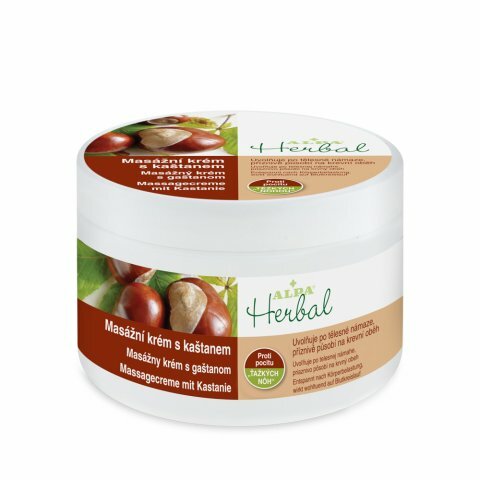 Thanks to the presence of chestnut extract it positively affects various disorders of peripheral vascularisation (cold feet, violet hands), it positively affects flexibility and strength of vascular walls. Thanks to its active substances it is highly suitable for legs swellings and for non-inflammatory form of varicose veins. The product composition makes absorption of natural substances easier and thus it supports fast efficiency of this product too.